In Winter Help for Veterans, Fox 5 featured LTC Deborah Snyder, USA (Ret.) and Dominion Energy’s program 100 Homes for 100 Veterans to weatherize Navy veteran Steve Pagach’s home. Click here for video [Mar 8, 2019]. Local DVM features LTC Deborah Snyder, USA (Ret.) helping Navy veteran Steve Pagach weatherize home with Dominion Energy’s program 100 Homes for 100 Veterans. Click here for video [Mar 8, 2019]. 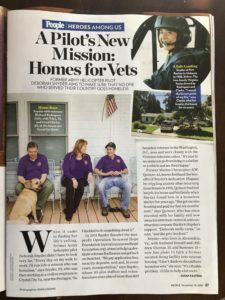 From People magazine: Former Army Pilot Helps Homeless Vets Get Back on Their Feet: ‘What She’s Done for Me Saved My Life’ [Nov 9, 2018]. 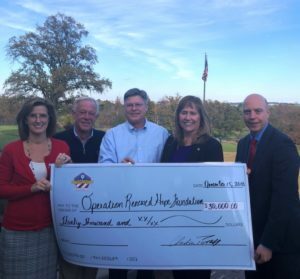 ORHF raised $30,000 at the Patriot Day Golf Classic 2018. Thanks to all who participated! 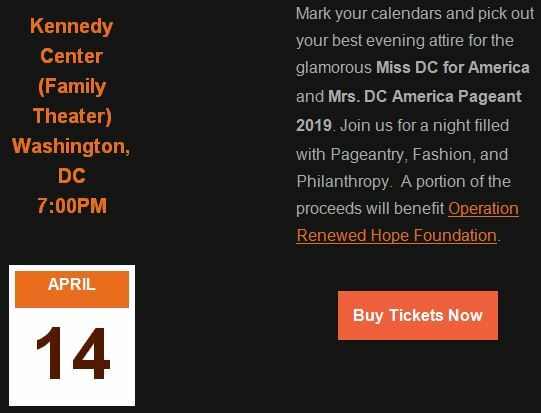 [Nov 18, 2018]. .
DC’s Dancing Stars Gala article Fairfax County Times: A night to remember [Nov 16-18, 2018]. Fewer veterans were homeless in 2018, after a worrisome rise last year by Leo Shane III from Military Times [Nov 1, 2018]. 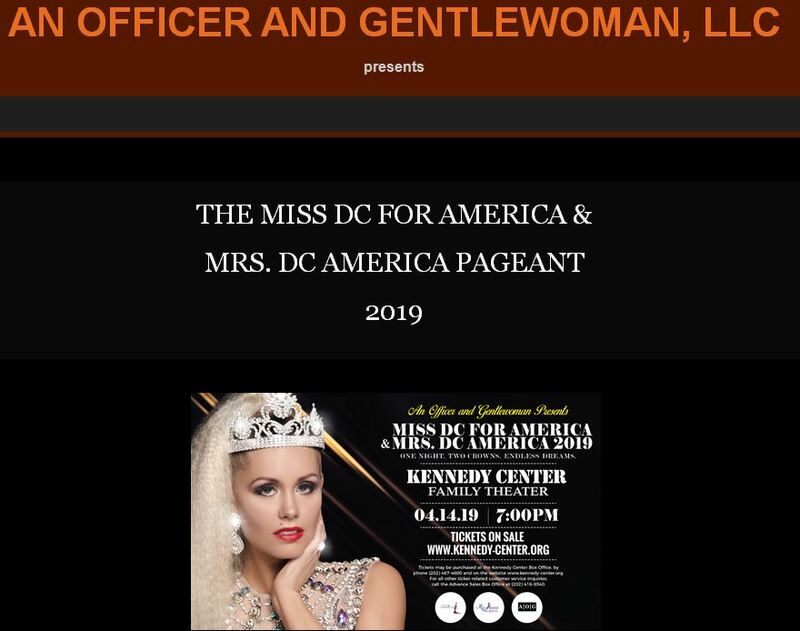 Watch ABC7 News’ Jonathan Elias ABC7 Salutes: 007 Black Tie Gala honors American veterans [Oct 19, 2018]. Fox News’ Shannon Bream’s Midnight Hero features LTC Deborah Snyder, USA (Ret.) working to end homelessness among veterans’ families. Watch Fox News – Midnight Hero [Jul 27, 2018].